understand how you are truly worthy of love. Then, you will be much more able to attract the love you desire and deserve. Don't miss out! Attract love now! No excuses, be a success no matter what! Divorce, death, illness, accidents, bankruptcy, heartbreak, abuse, abandonment! None of them have to defeat you. They can all teach you how to be stronger and better than ever before. That's right, "no pressure, no diamonds." So, if life is tough, it only means you have the opportunity to shine brighter than before. We love movies! So why not have fun watching movies, while learning more about yourself and the world? Dr. Lisa Love shows you how, by using the LoveMovies! Way of Watching movies, and by matching books and other resources with films. Insights are then shared in her Empowerment Movie Reviews. They help you get more out of movies, to get more out of life, by expanding your consciousness and understanding of love. Plus, take a Class, check out Dr. Love's Top 25 Favorite Movies, Get Free Gifts, become a LoveMovies! Member, or start a Film Club. “OK, so what if we can attract some of the things we desire? As Lisa Love makes abundantly clear, what is far more important is learning what is worth desiring in the first place.” -- Roger Walsh MD, Ph.D. University of California Medical School, author of Essential Spirituality: The Seven Central Practices Read more endorsements. Book now in Third Printing! Attract more time for Being and not just doing. Live a life motivated by love and not fear. Appreciate and use well what you have before you want more. Feel good by doing good knowing you are making a real difference in the world. Create a new world focused more on contribution instead of just consumption. After all, the genie in the bottle and the law of attraction are neutral. They don't care what kind of person you are when you ask for what you want. That's why the real secret isn't knowing how to wish, it's knowing what to wish for so that it benefits the whole and not just yourself alone. Make a radical breakthrough and take your life to a new level. Go beyond fear through the power of purpose and love. Feel good by doing good and making a difference in the world. Have more time for Being and not just Doing. Get a breakthrough in your life in only one session at a discount rate, click this link! 2000's Life, Relationship, Law of Attraction Coaching -- Training others in relationships, dating, spirituality, and coping with life transitions in an effective way. 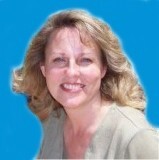 1980's Marriage, Family, Child Counselor: Main focus, relationships, divorce counselor, sexual abuse issues. Look for my upcoming book on Joy and the Law of Attraction through Hampton Roads Publishers. Most current radio visit here. Most current workshops visit here. "No matter what happens in life, never lose your childlike innocence. It's the most important thing!" "Heart breaks -- open! Heart breaks -- open!" Welcome. I am the author of the book BEYOND THE SECRET: Spiritual Power and the Law of Attraction. I started using the law of attraction in the early 1980's. Years later I was officially trained as a Law of Attraction coach, but I was still unhappy with the standard law of attraction approach. That is why I spent five years researching in-depth law of attraction principles in relation to my Ph.D. dissertation on Wealth & Spirituality. I wanted to discover how the law of attraction and "getting what you want" can be done in a spiritual way, for the good of the whole, and not just yourself! My Law of Attraction experience is combined with numerous degrees and decades of hands on training in psychology and spirituality (most of it focused on how to build a healthy ego and then infuse it with a more spiritual self). My spiritual background is extensive and for over ten years I was a teacher of various forms of meditation and led spiritual retreats. Now, when I work with clients I use the Ten Step law of attraction process outlined in my book, BEYOND THE SECRET: Spiritual Power and the Law of Attraction, to help you manifest what you want in a spiritual way and in accordance with what Spirit wants for you. I have helped hundreds of clients for decades work through fear in the attraction process to help them achieve spiritual, as well as material, abundance. Fear comes from the ego, and too many law of attraction teachings feed both. The more you are afraid in life and devoid of Spirit, the more stuff you need to attract to make you feel secure. Faith comes from Spirit and a connection to the larger whole. Ironically, the more you are connected to Spirit the more you want for others and not just yourself alone. from work, it was hard to remember to be confident. I am so grateful Dr.
Read more testimonials from my website here.